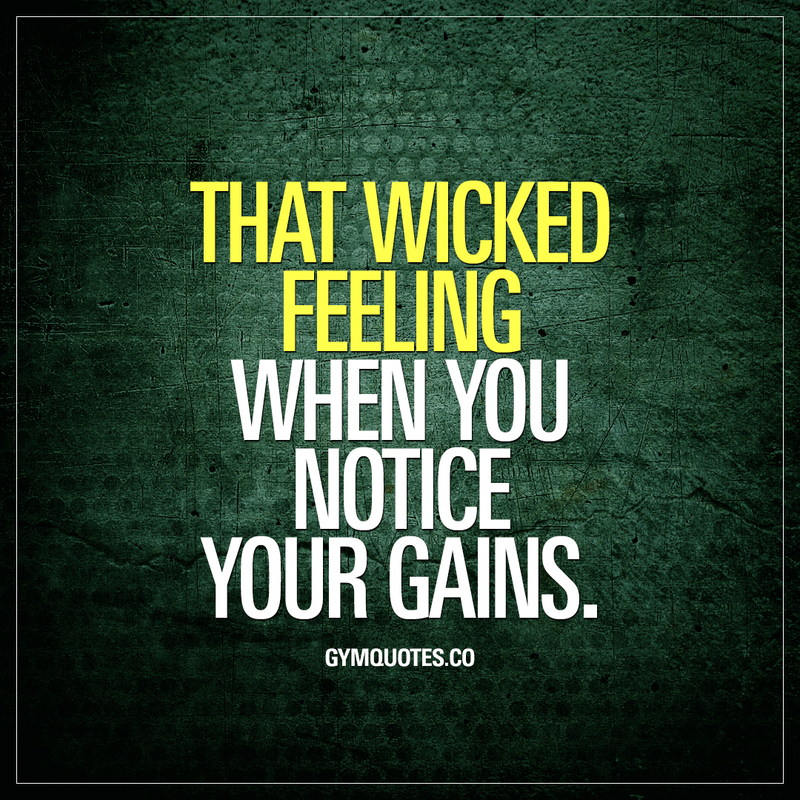 Quotes about gains: That wicked feeling when you notice your gains. That wicked feeling when you notice your gains. Best feeling in the world. Period! There’s nothing that can compare to that feeling when you look in the mirror and notice your gains. If you love that feeling, then this is THE quote for you! Share it with someone today! And before you leave, why not sign up to our FREE newsletter? It’s 100% free!